Children of British Expats in Europe often are entitled to the Estate without even knowing it. EU Succession Laws are full of surprises. British expats who are resident in Europe, let’s say in Germany, Austria, France or Spain, rarely are aware that ever since the introduction of the EU Succession Regulation (August 2015), if they pass away while being resident in that country, the Inheritance and Succession Laws of that country of residence will most likely apply to their estate. This is due to the fact that the entire European Union (except for the UK, Denmark and the Republic of Ireland) have adopted the EU Succession Regulation which states that the laws of the country in which the deceased had his or her last habitual residence must apply. Habitual residence is easier to achieve than domicile. Thus, a British national who may consider him- or herself to be domiciled in England, can easily be considered by the German, Austrian, French or Spanish probate court to have established habitual residence outside the UK. 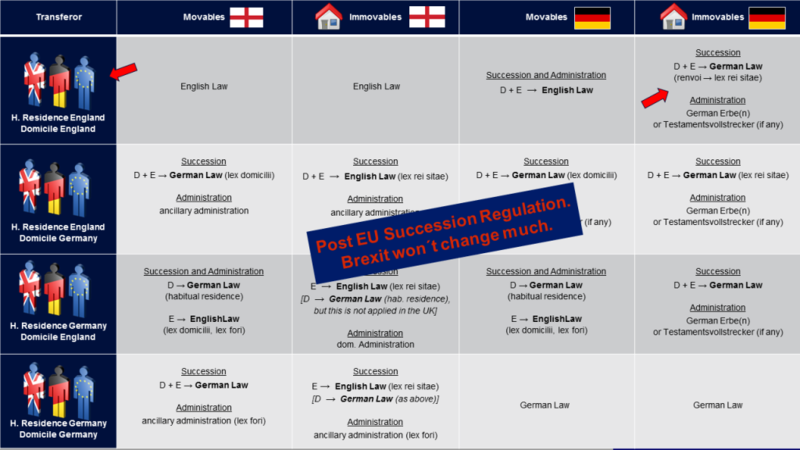 Then, from a EU law perspective, these national succession rules (i.e. German, Austrian, French inheritance laws etc.) do apply to the entire estate, including the assets situate within the UK. English law takes a different view on this issue which may lead to horrendous legal disputes and contentious international probate cases which drag on for years and block the administration of the estate both in the UK and in Europe. Who inherits if a British expat dies abroad? The application of foreign succession laws can lead to surprising results. Pleasant or unpleasant, depending on the degree of kinship with the deceased. 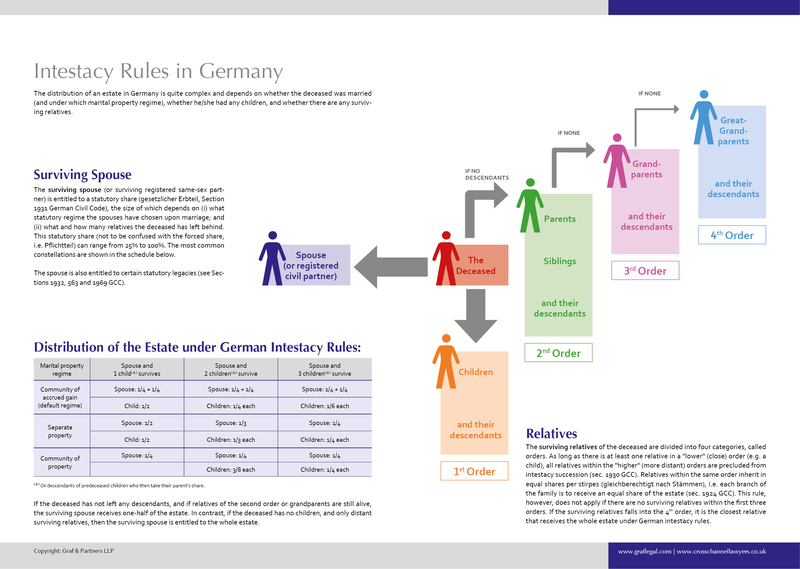 Under German succession laws, for example, the surviving spouse has a much weaker position compared to the intestacy rules in England and Wales as well as Scotland. Details are explained here and here. The stunning results are not only caused by different national rules of intestacy. These could easily be avoided by simply creating a will. But even if the British expat has set up a valid will, the inheritance and succession laws of continental EU countries (including Germany, Austria and France) often apply statutory elective share rules, also known as forced heirship or compulsory inheritance share rules. For practical implications of such forced heirship rules see here and here. By the way: National inheritance tax laws of the respective country of residence do also apply. This cas always been the case and has nothing to do with the EU Succession Regulation and will also not be affected by Brexit. National tax laws are what they are. Still, British expats should inform themselves about the respective IHT laws of their country of residence. Unless they live in Austria because Austria does not levy any inheritance tax (as of now). In order to avoid unpleasant surprises or probate problems, expats should definitely have their last will checked by an international succession law expert within the country of residence. 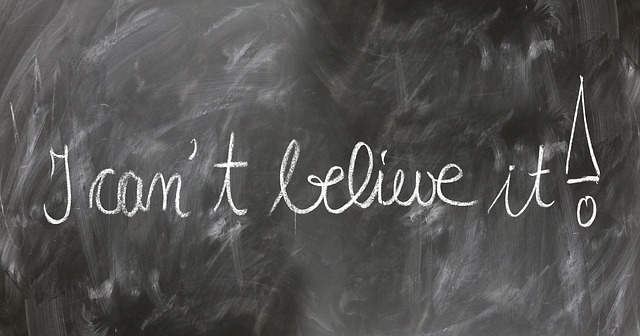 English solicitors are rarely capable or even willing to consider foreign law implications (for some examples how English wills can lead to catastrophic results outside the UK see here). If you wish to instruct Graf & Partners LLP to draft a Will or to team up with a foreign lawyer to advise in specific areas of German or Austrian law, please feel free to complete the questionnaire and contact our German succession and probate law experts. Lawyers can create a tailor-made Last Will only if they are fully informed about the testator’s personal situation and his/her objectives. In order to draw up a Last Will that fully meets the clients individual requirements, Graf Partner LLP uses a comprehensive questionnaire and Will preparation checklist (available for download here). This checklist also helps to facilitate an effective and individual preparation for the personal meeting at the firm.